PROMOTING WILDLIFE … Pang (back row, 7th left) and Shavez (back row, 6th left) together with the wildlife survey team which includes members from 1StopWildlife Borneo among others. TAWAU: A team of citizen scientists and avid wildlife enthusiasts carrying out a wildlife survey at Tawau Hills Park has documented new findings of lesser-known species of bats, frogs, birds inhabiting the biodiverse-rich rainforest sanctuary. “The expedition has contributed significant findings noteworthy for the park. Up to date, there are more than 300 species of birds, 70 species of frogs and 90 species of mammals documented at the park,” said founder of 1StopWildlife Borneo, Shavez Cheema. Speaking at the recent dinner reception hosted by Assistant State Tourism Minister, Datuk Pang Yuk Ming in support for the expedition, Shavez said the wildlife survey was carried out by 1StopBorneoWildlife who are working closely with Sabah Parks on publishing a book on the Tawau Hills Park. “It’s heartening to see strong interest, support and recognition from locals as well as foreigners on the importance to conserve and protect the natural environment and its inhabitants,” he added. The team currently carrying out activities in documenting wildlife at the park during the 10-day expedition from Jan 23-31 also received assistance provided by experienced guides from local tourism company, Adventure Alternative Borneo on conservation work and developing new strategies for ecotourism in the park. Among the main objectives of the expedition is aimed at promoting Tawau Hills Park as one of the main eco-tourism destination and conservation sanctuaries in Sabah. “We deeply appreciate the contribution of the Tourism Ministry and Pang, who is also one of the main players keen to ensure the success of this wildlife expedition, and also a vocal supporter for conservation and education,” said Shavez. Penampang: Penampang will be included in the Auditor-General’s Report Series 1/2017 for Parliament in July 2018 due to the Native Court building here being completed five years behind schedule. National Auditor-General Tan Sri Dr Madinah Mohamad disclosed this after listening to briefings by the Sabah Public Works Department (PWD) Director and District Chief at the courtroom of the building, here, Tuesday morning. She said her auditors would find out what happened and why the procedures were not followed, to avoid repeating the same mistake. “We want best value for money, all projects carried out efficiently, effectively and economically, not like the Native Court building which was supposed to be completed in 2012 but only completed in 2017,” she said. She acknowledged that the PWD had carried out the project in-house, designed and supervised, and its expertise could not be questioned. “The first contractor was not competent or efficient but who supervised? It can’t be all due to the fault of the contractor as the supervisors are responsible to ensure the contractor follows all the specifications,” she said. She said she has yet to establish how much liability was caused by the delay. “Our auditors will produce a report and table it in the Parliament to be debated and punitive actions will be recommended for any public servant found negligent in their duties, or the consultant or construction company. “There can be some negligence on the part of the PWD. However, it can’t be faulted 100 per cent if the contractor is also not performing. The Government promised the building but a five-year delay is very sad. “We have to pinpoint the weaknesses so that there is room for improvement. Mistakes are made but the same should not be repeated twice,” she added. She said punitive actions could also be recommended for third parties for negligence. “If the police and Malaysian Anti-Corruption Commission cannot act, we will lodge a complaint to the professional bodies that govern them in order to protect the interests of the Government and the rakyat. “When I was working as Chief Secretary for two ministries, I have had many friends but now as Head of Audit, I have no friends…but that’s okay,” she said, adding that the lessons learnt through the Sabah PWD must be entrenched in the minds of all officers. “This building is something we are proud of but it should have been completed five years ago,” she stressed. KUALA LUMPUR, Jan 30 (Bernama) — The Ministry of Higher Education Malaysia and the British Council will co-host ‘Going Global’, the world’s largest open education conference this May 2 to 4. British Council Malaysia director, Sarah Deverall said the conference, to be held in the Southeast Asian region for the first time, would be participated by 75 countries worldwide. 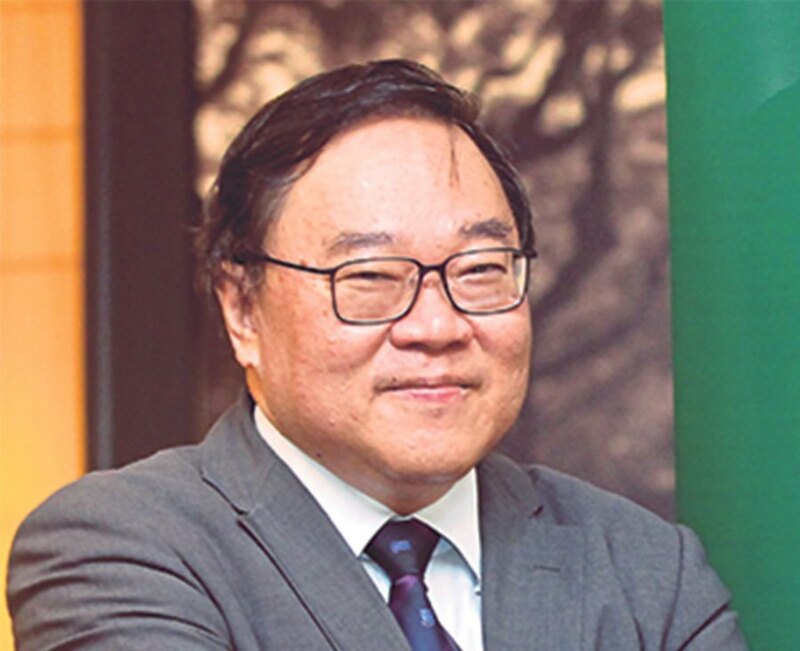 “Malaysia is a natural choice of venue for this year’s ?Going Global’ with its strong global connections, growing reputation as a regional education hub, and as one of the fastest growing economies in the world. “We are proud to be able to deliver this year’s conference with co-host, the Ministry of Higher Education Malaysia, and the ASEAN Secretariat as supporting partner,” she said after the soft launch of ‘Going Global’, here, today. Since its inception in 2004, ‘Going Global’ has become an annual event alternating between the United Kingdom and major international cities, including Dubai, Miami and Cape Town. With the theme ‘Global Connections, Local Impact: Creating 21st Century Skills, Knowledge and Impact for Society-Wide Good’, the topic will be discussed by various panellists across 40 sessions over three days. Meanwhile, Higher Education Minister Datuk Seri ldris Jusoh said the theme was timely as it reflected the importance of establishing global connections in the higher education sector as the ministry was preparing to face the 4th industrial Revolution. 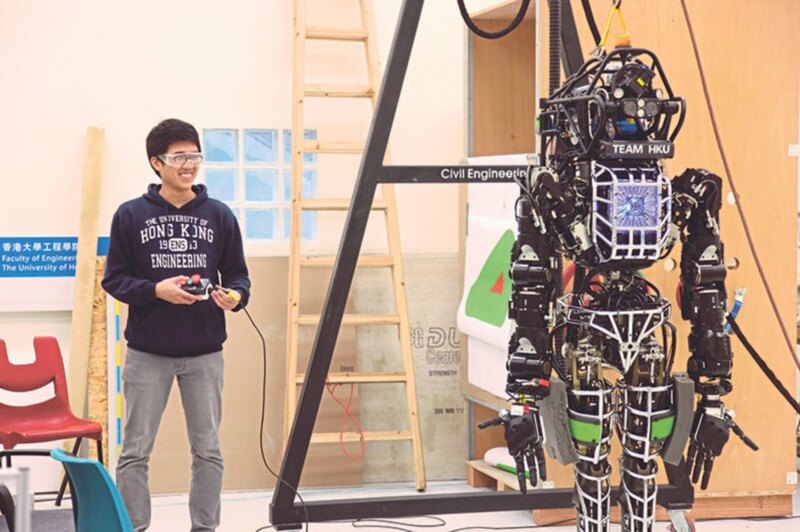 An engineering student testing out a robot. IN view of globalisation, students pursuing higher education would be wise to look at institutions that could provide a global outlook yet have a good grasp of local knowledge and expertise. 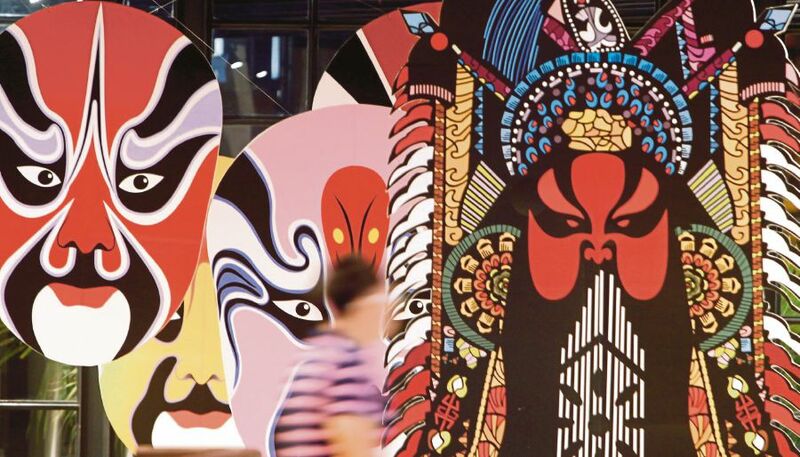 This is what University of Hong Kong (HKU) has to offer. Founded in 1911, the territory’s oldest university has over 9,000 international students from over 100 nationalities. HKU has been regarded as the best international university in Asia (the “Oxbridge of East Asia”, according to the Times Higher Education), and is ranked the 26th best university in the world (QS World University Rankings 2017). “With a strong international outlook and a tradition of English language instruction, HKU attracts the best academic staff and the brightest students from the territory and around the world. 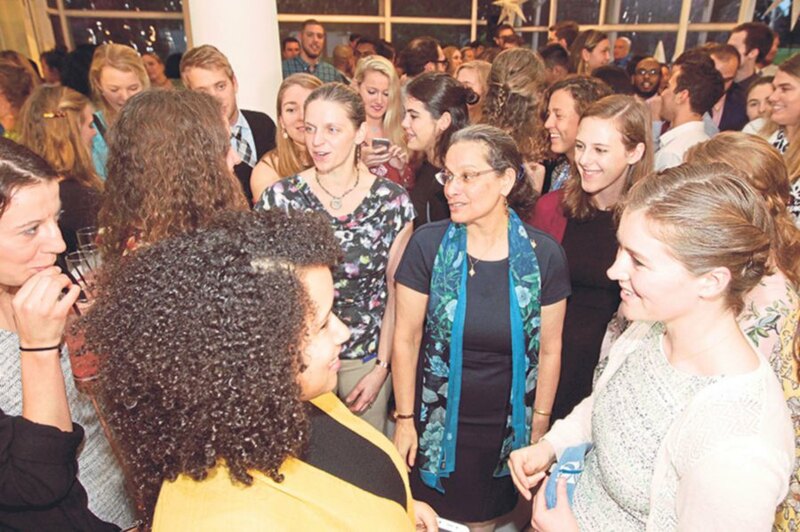 The university is committed to nurturing talent and leaders, and to cultivating internationalism on campus. “The university strongly supports international academic collaboration, and staff and student exchanges, with over 400 higher education institutions,” said HKU Centre for Medical Ethics and Law co-director Dr Philip S. L. Beh at the varsity’s open house in Kuala Lumpur recently. University of Hong Kong (HKU), Centre for Medical Ethics and Law co-director Dr Philip S. L. Beh. The event was held to introduce the university’s programmes. Beh, with academics of HKU’s Faculty of Engineering and Faculty of Business and Economics, spoke to nearly 200 attendees about the specialties of HKU, course frameworks and admission information. The event also invited Malaysian students studying at HKU to share their experience. Beh said HKU was pleased to announce a deeper academic collaboration with the University of Cambridge to nurture global engineering professionals. Under the HKU-Cambridge Undergraduate Recruitment Scheme (Engineering and Computer Science), students can graduate with three degrees: one Bachelor degree each from HKU and Cambridge, and a Master of Engineering from Cambridge after five years of study. This collaboration is an extension of the “HKU — University of Cambridge Joint Recruitment Scheme for Engineering”, a pilot scheme introduced in 2011. “With the expansion of multinational engineering firms, there is an increasing demand for engineers with integrated engineering knowledge. It is certainly very exciting for students wishing to study in two of the world’s elite universities. The scheme aims to nurture future engineering professionals to have a global mindset, to be able to solve novel problems in a fast-changing environment, and to innovate and develop new solutions. “Having an opportunity to study engineering in both Asia and the United Kingdom, students would be well prepared to manage sophisticated projects and develop the critical soft skills needed in the real world. Students will be exposed to specialised engineering technologies and will learn from some of the leading professionals in the world,” Beh said at the sidelines of the event. He said the first batch of graduating students of the pilot scheme at Cambridge were successful and sought after by employers in the UK, Hong Kong and mainland China even before they graduated. He added that HKU had incorporated articulation programmes in its biomedical scienced courses for undergraduates to branch out into a professional career, such as physiotherapist or veterinarian. “In their third year, students choose from partner universities, like University of Sydney, and study first-year physiotherapy courses, or University of Edinburgh for first-year veterinary medicine courses. They come back to HKU to finish their final year and can continue pursuing the rest of their graduate degree after. “After completion of biomedical sciences study at HKU, students can pursue a Master of Physiotherapy or Master of Diagnostic Radiotherapy at the University of Sydney. Animal lovers can pursue a Bachelor of Veterinary Medicine and Surgery at the University of Edinburgh. These collaborations are tailored for students to explore interests and careers. To apply for a place at HKU, students need to have strong STPM, A Levels or Unified Examinations Certificate results. The application for the September session is open. “Between 10 and 20 Malaysian students may be admitted to HKU’s Faculty of Engineering each year. Depending on their academic performance, HKU will nominate students on this track for admission’s assessment by the University of Cambridge. Students will receive pre-interview assessment and admissions interview from Cambridge,” said Beh. 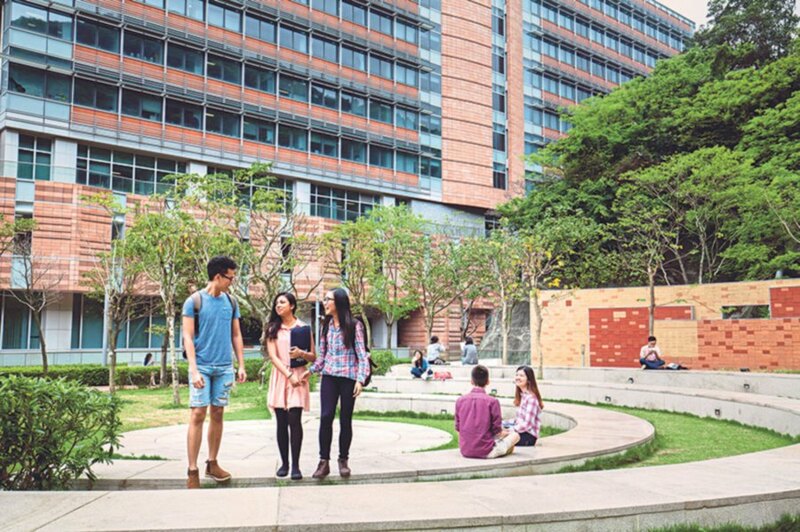 Each year, HKU offers scholarships to outstanding international students. For the 2017-18 term, 21 Malaysian students received full tuition fee waiver or up to HK$186,000 (RM92,100). Over HK$14 million were awarded to Malaysian students last year. Beh said HKU had nearly 100 per cent employment rate for 11 consecutive years given the robust job market in Hong Kong and China. Kamala Shirin Lakhdhir (centre, with blue scarf) sharing a light moment with some of the ETAs. EXPERIENCING a different culture through educational and cultural exchange will allow you to gain a deeper understanding of yourself and those around you. It will also deepen knowledge of foreign cultures and strengthen international relations. This is the journey ahead for 100 American college graduates who are here in Malaysia for a 10-month lifetime experience under the Fulbright English Language Teaching Assistant (ETA) programme. They will get the opportunity to work as assistants to English teachers in secondary schools in selected districts in Kedah, Perak, Kelantan, Terengganu, Perlis, Pahang, Sabah, Sarawak and a newly added state, Malacca. For them, leaving the familiar behind and plunging into the unknown show their commitment to understanding other people and cultures, and learn about the world in a way that books, school assignments and a professional career cannot provide. Most of them are so eager to develop leadership skills, self-confidence and a greater understanding of the complexities of other cultures around them. From left: Emily Zapinski, Nathan Mathai, Pashoua Vang and Dustin Vessey. Dustin Vessey, from Phoenix, Arizona, said participating in the programme would be a wonderful opportunity to explore the Malaysian student life, learn more about the diverse cultures of the people, make new friends and study the environment around him. “I am excited to be here. I hope that every day is a new adventure while I am here. I want to be a part of the people here ­— getting to know not only the locals but the education methods and everything in between with food included,” said the 22-year-old chap. Vessey graduated in political science from Yale University. He said he equipped himself with learning the Chinese language for this programme. “I know that in Malaysia, there are three main races, and to be able to speak in Chinese will help me communicate with the locals. “As for the lesson plans, it will have to depend on the school as I will work with their English Language teachers,” said Vessey, who is attached to a secondary school in Jerantut, Pahang. Nathan Mathai, 23, from Dallas, Texas, said he applied for the programme after he heard a lot of good things from his friends who joined the ETA progamme two years ago. “This is the best thing ever for me to be able to teach abroad and educate students in a fun way. I used to get involved in TED Talks and I know the importance of speaking comfortably in English in front of other people. Thus, I want to bring that element into the lesson plan,” said Mathai, who loves diving. He said he would like to explore the food and maybe do a little bit of cooking besides diving during his stint in Terengganu. “As a teacher, I will be able to meet the locals on intimate levels. I can ask them about interesting places to eat, visit or spend a leisurely afternoon together. Maybe parents will invite me to their homes for dinner or a local party,” he hoped. Pashoua Vang, 26, from Minnesota, who graduated in Global Studies and Asian Languages and Literature, hopes to broaden her perspective when teaching abroad. Vang said being in Kuala Perlis will be a little scary, but exciting at the same time, because students are mainly shy about speaking in English, which she hopes to change by the end of the programme. “I want to build their confidence and, hopefully, they will teach me how to speak in Malay along the way. It is like a win-win situation for us,” she said. Since she enjoys art and craft, she would incorporate the elements into her teaching methods. Emily Zapinski, 23, from Dallas, Texas, said English is important as an international language and being able to speak it would improve people’s lives and opportunities. The Business Management graduate from University of Alabama said learning a new language will only be possible through practice and exposure. “A main component of teaching English abroad will be having conversations with people and helping them have conversations with each other. “As for me, being out of my country can be just as rewarding as I get to be involved in a community development project as well. “It’s a great way to share your skills and discover talents and passions you never even knew you had,” said Zapinski, who is teaching in Alor Star, Kedah. Present at the event were United States ambassador to Malaysia, Kamala Shirin Lakhdhir and the Embassy of the United States of America Counselor for the Public Affairs Bradley A. Hurst. The Malaysian ETA programme has been around for 11 years, with around 10 to100 graduates taking part each year. They are selected through a rigorous annual competition among America’s brightest young university graduates. ETAs are assigned to schools for 10 months, where they work under the supervision of qualified Malaysian teachers to enrich the schools’ English language instruction. They also organise school clubs, sports teams, English camps and other extra-curricular activities, all geared toward helping students develop greater interest and ability in using spoken English to express themselves. 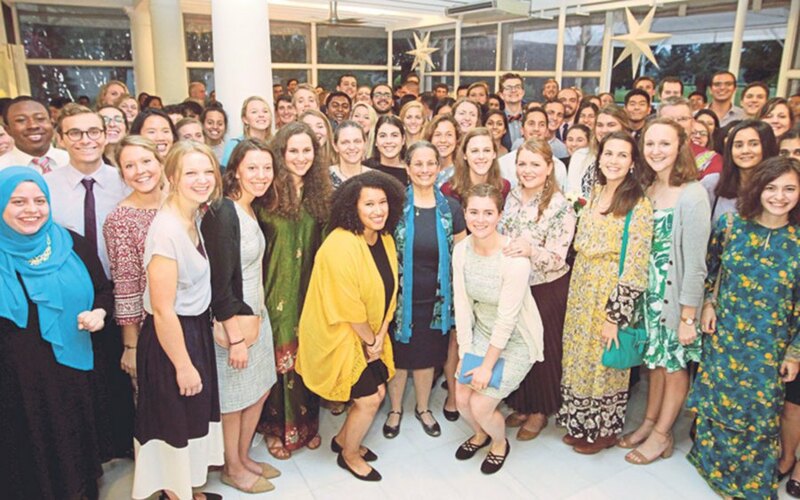 Living in Malaysian communities and having close daily interaction with students, teachers and residents provide the young Americans with an in-depth cultural experience, which can be both enriching and unforgettable. In addition, Malaysian students can benefit from interacting with native English speakers and learn first-hand about Americans and their culture. The programme has been successful that both governments recently extended the programme for another three years. Can one learn to be creative? KOTA KINABALU: Energy Efficiency (EE) is crucial for Malaysia as it will balance and reduce the supply and demand gap of energy in the country. According to Zaini Abdul Wahab of the Malaysian Association of Registered Electrical Energy Managers (Mareem), energy demand is projected to increase from 2,000 PJ (in 2009) to 4,013 (in 2030), an average rate of 3.6 per cent per year. “Some of the short-term and long-term measures that can be taken are through EE initiatives, while at the same time working and looking for new energy sources such as renewable energy and alternative energy,” Zaini said in his presentation at the second day of the SESB Sustainable Energy Convention yesterday. Simply put, EE refers to the reduction in energy used for a given service. Among the benefits of EE are the reduced exposure to the uncertainties in energy price fluctuation and deferred capital investments, Zaini asserted. The concept of EE may also attract more investors and it will pave the way to more access in capital (new and additional sources of economic growth). In terms of its environmental benefits, EE will reduce greenhouse gas emissions within the country. “The benefits of EE also includes the creation of new job opportunities, an improved energy security and a reduction in operation and maintenance costs,” Zaini said. He stressed that 2/3 of the economic potential to improve energy efficiency remains untapped in the period leading up to 2035. In his presentation entitled Roles of Energy Managers in Sustainable Energy Management For Large Energy Users, he had also touched on the importance of Energy Management (EM). EM refers to activities that aim to ensure efficient use of energy in the organization, the standard systematic approach for the management of energy use. Environmentally speaking, EM is the most cost-effective way to reduce carbon footprint and it is in line with society’s stand in the global climate change mitigation measures and goals. It is understood that the concept of EM will also help businesses achieve greater savings and it can reduce costs by at least 20%. At the same time EM can also enhance the corporate image of a particular company. KOTA KINABALU: The ‘2017 Directory of Services in Kota Kinabalu for Children with Special Needs’ is now available to guide parents in seeking advice, counseling and intervention for their young children diagnosed with special challenges. The directory, jointly compiled by the Sabah Mental Health Association and Sabah Caring and Helping Individuals Learn and Grow (C.H.I.L.D.) Association, and sponsored by the Rotary Club of Kota Kinabalu, was launched here on Monday evening. The directory offers around 10 schools and early intervention centres available in Kota Kinabalu and its surrounding areas. Sabah Mental Health Association president Patrick Chin emphasized that professional counselling and early intervention were imperative to enable children with special needs, such as autism, acquire simple skill sets to improve their chances of leading better lives with training. He said the number of children with autism has increased over the years and many went undiagnosed because their parents were either unaware or in denial of the signs of autism. Chin pointed out that a lot of parents whose children require special educational needs insisted on sending them to normal schools, while some left their children at home. He said autistic children would show signs such as inability to communicate, speak or express themselves. Nonetheless, Chin said there were varying degrees of autism and some autistic people were, in fact, brilliant individuals. He said children with autism were usually referred to Hospital Mesra Bukit Padang. But with hundreds of patients registered at Hospital Mesra, the hospital simply cannot cope, especially when children with autism require professional therapy up to three times a week, he said. Hence, Chin said the directory provided a list of private occupational therapists or trained professionals who could devise programmes for improvement and give these children the best chance in life. He stressed that there were a lot of opportunities for children with special needs below the age of eight to improve and acquire learning skills. He said the schools and early intervention centres enabled parents to follow up and monitor their children’s progress. Chin said having a child with special needs was very stressful for parents. He said these parents worried about the future of their children when they are no longer around. By undergoing professional training, Chin said children with special needs could learn basic life skills, and hopefully education. Eventually, he said these children might be able to live or work on their own. A total of 1,000 copies of the directory have been printed and will be distributed to kindergartens. The directory can also be obtained at Sabah Mental Health Association located at No. 111, Lorong Ikan Papayu, Off Jalan Mat Salleh, Sembulan, Kota Kinabalu. The association can be contacted at 088-248 197. Lunar triple treat back after 152 years. PETALING JAYA: Stargazers and astrophotographers will gather at the National Planetarium and several spots around the country tonight between 7pm and 10pm to catch sight of the very rare triple display of a “blue moon”, a super moon and a total lunar eclipse. The three-in-one celestial phenomenon, which can be seen across Malaysian skies, last occurred 152 years ago in 1866. National Planetarium scientific officer Mohd Zamri Shah Mastor said that several events are being organised for the public. “It will be a good opportunity for Malaysians, especially the younger generation, to witness this extremely rare astronomical event. “Barring cloudy skies, the people will see a slightly larger and brighter moon, about 14% larger and 30% brighter, on that night,” he said. On the term “blue moon”, Mohd Zamri said the moon will not look blue, but it refers to the second full moon in a month. “The moon will look yellowish white, but will gradually appear reddish during the full lunar eclipse, giving it the term blood moon,” he said. National Space Agency director-general Dr Nordin Ahmad said there is viewing event at the National Observatory in Langkawi as well. In Penang, the public can watch the total lunar eclipse at the promenade of Karpal Singh Drive (next to the four pillars) in Sungai Pinang from 7pm until midnight. In Sabah, a viewing event will be held at the city’s 30-storey Yayasan Sabah tower today where stargazers can witness the eclipse that is expected to last five hours and 17 minutes. NEXT week, on Feb 8, will be the 115th birthday of Tunku Abdul Rahman Putra Al-Haj. Tunku was the seventh son of Kedah’s Sultan Abdul Hamid Halim Shah. Tunku’s mother is Che Menjalara, the daughter of Luang Naraborirak from Thailand. He was educated in Alor Setar, Bangkok and Penang, before graduating from Cambridge University in 1925. He then completed his legal training in 1949. He successfully led the series of negotiations that resulted in our independence from Britain. For that, he will forever be known as our Bapa Kemerdekaan (Father of Independence). On Aug 31, 1957, Tunku read out the Proclamation of Independence. The proclamation was the basis and the principles behind the founding of our nation. In the proclamation, Tunku said our nation shall “be for ever a sovereign democratic and independent State founded upon the principles of liberty and justice and ever seeking the welfare and happiness of its people and the maintenance of a just peace among all nations”. Liberty and justice – these are the principles that must guide our actions and policies. In 1963, Tunku brought four entities – Sabah, Sarawak, Singapore and Malaya – into one, to form Malaysia. Rightfully, that made him our Bapa Malaysia too. On the day that Malaysia was formed, rather than reading out a different statement, he opted for the same proclamation, turning what was once called the Proclamation of Independence into the Proclamation of Malaysia. Of course, as Prime Minister, he made his fair share of mistakes. There were actions of his that many of us today would consider as far short of the ideal. But on balance, many Malaysians today are longing for the environment fostered by Tunku’s administration. He turned the principles of liberty and justice into actual policies, all aimed at ensuring the welfare and happiness of the people. He was determined to ensure every single citizen of the country enjoys liberty and justice equally, regardless of race and religion. One thing for sure, his vision of how to unite the country was the correct one. He did not put one group above the other because he knew very well that a happy country can only exist if its citizens were equals. Sadly, this vision of equal treatment disappeared soon after Tunku’s departure from office. Until today, we are still affected by the consequences from divisive ethnic-based social engineering. When Tunku Zain Al-’Abidin Tuanku Muhriz, Wan Mohd Firdaus Wan Mohd Fuaad, and I decided to start the Institute for Democracy and Economic Affairs (Ideas), we made a conscious decision to dedicate our work to injecting Tunku’s ideals into all facets of public policy. We launched Ideas on Feb 8, 2010, at an event that was also designed to celebrate Tunku’s birthday. Therefore, next week will also be Ideas’ eighth anniversary. The last eight years has been challenging but fulfilling. The nature of an independent think tank is not widely understood in Malaysia, where labels of either being pro-government or pro-opposition are thrown around too easily. When we say that we believe in principles rather than partisanship, many people become confused because we do not fall within their traditional labels. The culture of “only bad news can become news” does not help either. Our criticisms get picked up by the media more frequently than our praises. I have now become used to politicians and policymakers from both sides saying that we only criticise them and that we never give them credit. This wrong perception can only be expected because when we give credit when it is due, it is hardly covered. As far as challenges go, last year was by far the most challenging one. We were very close to shutting down in August because of a major cashflow crisis after two large funders suddenly pulled out. I had to go cap in hand to various people begging for money to keep us alive. Thanks to two donors, one from Britain and another from Johor Baru, we got through the crisis. Moving forward, our quest to translate Tunku’s vision into policy proposals will continue. In an increasingly divided Malaysia, we will stay true to his unifying vision. There are far too many people who, in private, complain like mad but refuse to speak up publicly even though they know they can change the country’s course towards the better. I promised my team at Ideas that we will never become like that. Hopefully history will show that I keep my word. You are currently browsing the www.Teo-Education.Com blog archives for January, 2018.